The GP1083167 fill valve has a red cap and can replace any valve with a red or yellow cap. 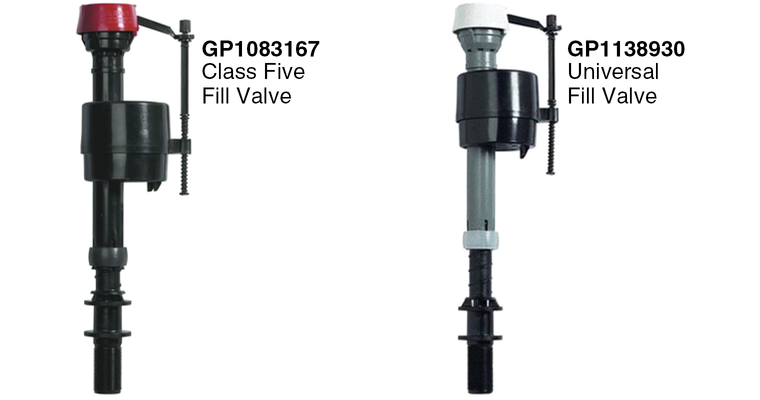 The GP1138930 universal fill valve has a white cap and can replace most other KOHLER® fill valves. For specific information on what fill valve to order for your particular toilet, reference Finding Common Toilet Parts. For fill valve replacement instructions, view the Instructional Video. 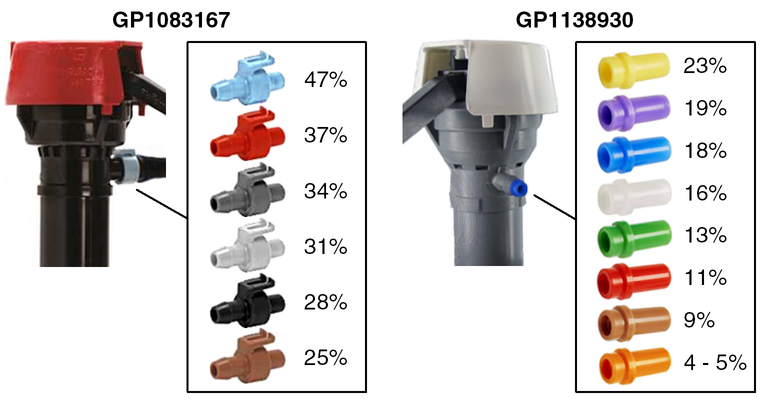 Since GP1083167 and GP1138930 are replacements for a variety of fill valves, each kit comes with a selection of colored flow restrictors (inserts). Each colored restrictor allows a different percentage of restriction to control the refill rate of water into the toilet bowl. To select the correct insert, check the color on the old fill valve being replaced, and use the same color on the new valve. When a conventional toilet is flushed, the bowl simultaneously refills with water as the tank refills. However, the tank is much larger than the bowl and typically fills at a significantly slower rate. The flow restrictor restricts the flow of water refill into the bowl during tank refill so the bowl fills in about the same period of time as the tank.